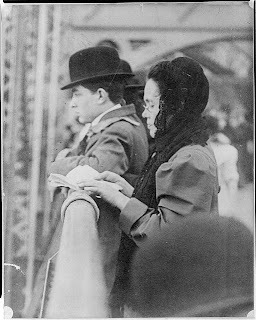 Tashlich prayer on the Brooklyn Bridge, 1919. 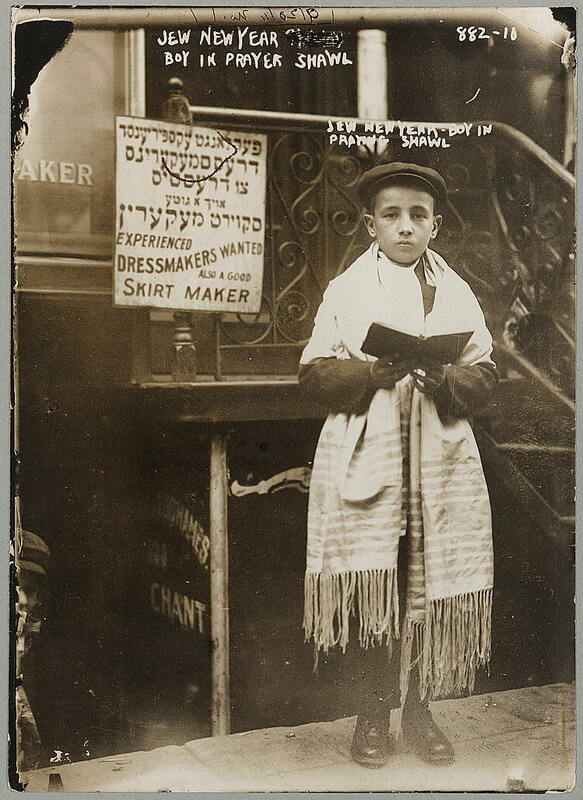 While this website focuses on historic pictures from the Land of Israel, we have also come across the Library of Congress Archives' photos of Jewish life in the United States. 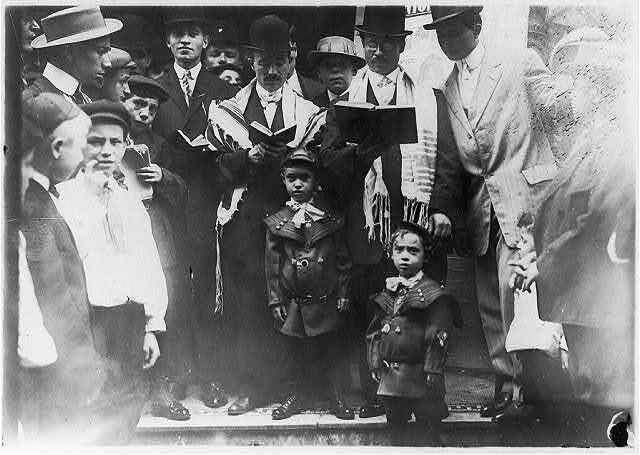 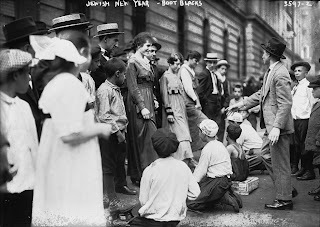 In honor of the Jewish New Year, we offer a series of pictures of Rosh Hashanna 100 years ago in New York. 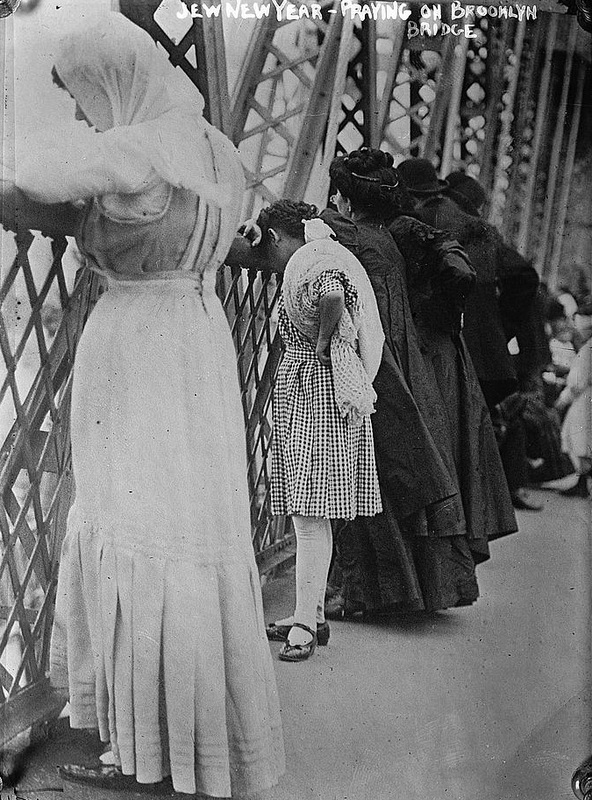 Click on captions to see originals. I was taken to the Lower East Side every year for a decade and more in the week before Rosh Hashana for shoes, trousers and underwear. 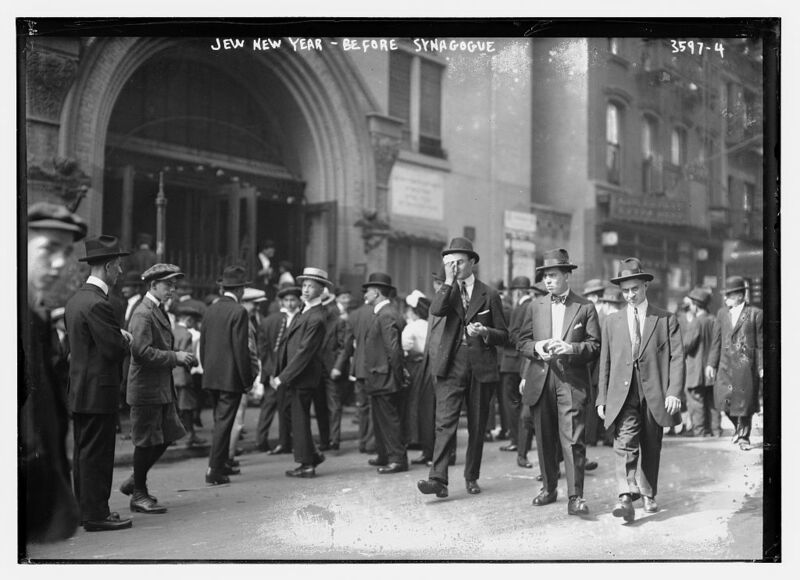 Fascinating, how I wish we could time travel to get a glimpse of those times.